Registered Office (UK) Ltd is committed to protecting our customer's privacy and personal information. Our websites and servers employ extensive security measures in place to ensure your personal and company information and credit card details remain secure. When you create an account, place a new order or log into our client admin portal (theoffice.support) your data is protected by an encrypted connection “https”. This means that all information sent from your computer to our server is encrypted. We use strong, cross-platform compatible encryption. SSL is in use across all our websites. The Secure Socket Layer protocol was created to ensure secure transactions between a browser and a server. The protocol uses a third party, a Certificate Authority (CA), to identify one end or both end of the transactions. Your password is encrypted. Encryption uses a special key to turn your password into a random string of text and can only be decrypted with the same key. Our dedicated servers are located in a high security data centre in the UK. On-site security guards, CCTV monitoring and biometric systems restrict access only to authorised personnel. Our servers are protected at the gateway by two managed SonicWall NSA Firewalls with Unified Threat Management (UTM), Deep Packet Inspection, Intrusion Prevention System, Gateway Anti-Virus, and DoS protection. The Firewalls are in a high availability pair with automatic fail-over for maximum uptime. All ports are blocked, and essential ports opened. Sensitive ports can be opened to specific IP's only in addition the server has a number of security features including a Web Application firewall which analyses all data being posted to the web site for signs of attack and blocks them. An anti-brute force firewall will block brute force login attempts to our server and websites. Access privileges are granted based on roles and specific needs. Strong password controls are defined on each of our servers, websites and portals. Our custom-built company management software is a cloud-based system – your data is stored in our database held in our high security data centre. This means that your personal and company information is not held on a PC, laptop or office server – all of which are all vulnerable to data loss or theft. For extra safety, regular backups are taken of your data. If you have any further questions or concerns regarding the security of our website(s), please contact us at: help@theoffice.support. Registered Office (UK) Ltd (The Company), trading as The London Office, The Registered Office, The Edinburgh Office, The Dublin Office, The Manchester Office and The Office Support may revise these Terms and Conditions at any time by updating this page. You should visit this page periodically to review the Terms and Conditions, because they are binding on you. In these Terms and Conditions, "The Registered Office (UK) Ltd, and all services related to it, including text, images, photographs, user interface, "look" and "feel", data and other content included in it from time to time (including, without limitation, the selection, coordination and arrangement of such content) are referred to as the "Web Site" or "Service". 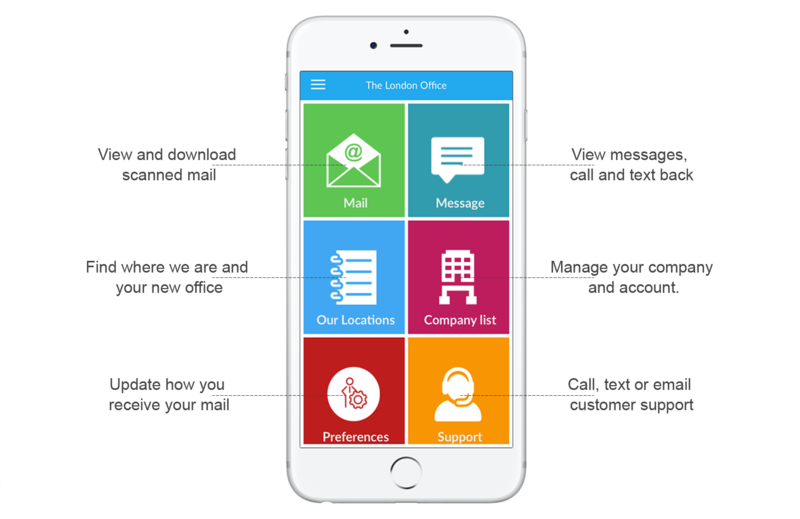 The Office Support is a UK based behind the scenes business to business service provider specialising in mailing address and telephone answering services with cost effective products and customer service at the core. Thank you. Please check your email for your new password.